These are my current books (available at Amazon) with more planned in the near future. Sign up to my newsletter to be the first to receive regular updates. In my first book, I share my most successful, easy to use tools and techniques from my toolkit, explaining them in simple, uncomplicated terms. 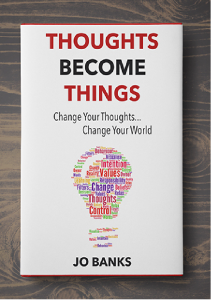 This book is designed specifically for anyone wanting to improve their lives and make some significant positive changes. It focuses on changing thoughts and behaviours that have been holding you back and stopping you from achieving what you deserve. For more information click here to visit the book’s website. Based on my 1-2-1 career coaching and training courses, this book contains the most effective, up to date tools and techniques required to land the job of your dreams. Explained in easy to use, uncomplicated terms, it is packed full of hints, tips, and advice gained from my years of experience as a Senior HR professional and business/career management coach. For more information, click here to visit the book’s website. Your Dream Job – Kindle series. 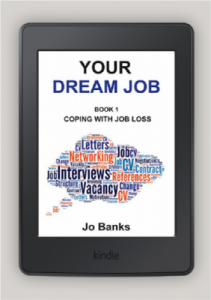 Book 1 in the Your Dream Job series provides help and guidance to assist you in managing job loss effectively, whether you’re out of work due to redundancy, loss of business, retirement or dismissal. Book 3 provides you with all the information you need to design a brilliant CV. It is also packed full of top tips to help put your CV ahead of the competitors. 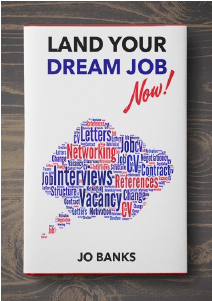 Book 5 in the ‘Your Dream Job’ series, covers all aspects of the job offer process from negotiating your package to resigning from your current employer. Book 2 in the Your Dream Job series provides help and guidance to assist you in your job search. It covers all the major routes to sourcing your next role from on-line job sites to how to effectively manage recruitment consultants. Book 4 in the ‘Dream Job’ series, covers the following topics gives you advice and guidances on all types of assessment including assessment types & Preparation, Interview Skills and Presentation Skills..